A unique mobile breast belt for real time measurements of various bio signals like heart rate, respiratory rate, and further (optional) sensors for body position, geo data and core body temperature. CE Class I, II and IIb. 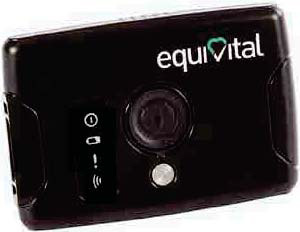 The EquivitalTM SEM EQ02 LifeMonitor provides a detailed, clinical grade physiological overview of a human. It has been proven to provide reliable, ‘round the clock’ monitoring in a multitude of extreme environments. Up to 48hrs battery life from integral power supply, with hot swap ancillary power packs for extended monitoring. The B2 Sensor belt features a system of sensors and electrodes embedded in novel textiles. It connects with the Sensor Electronics Module (SEM) to provide mobile monitoring capability. The B2 belt has a second connector which would allow you to connect a second ancillary device such as GSR, SP02, external battery pack etc. Designed to be comfortable when worn for extended periods, the EQ02 Sensor belt enables high quality measurement of physiology even when the wearer is engaged in strenuous physical activity and rapid movement. Available sizes: 1-9 (Circumference at xiphersternum: 29 – 47 in / 74 – 119 cm). Equivital Products are developed to harness the power of mobile human data, that is data from real people in real environments, offering solutions across pharmaceutical, military, industrial and healthcare markets.